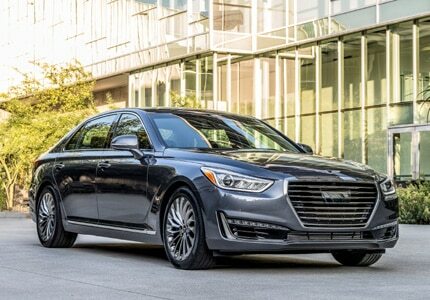 The 2017 Genesis G90 will be the flagship sedan in Hyundai's new luxury line, Genesis. It is intended to compete with the top luxury car market worldwide. And it does so in style, featuring top-of-the-line specs and tech that are all available in the standard Genesis G90 model.